As of January 2017, schedules and admission fees of Istanbul’s museums – both public and private – have changed. In this post you can find their updated winter schedules (working days and opening hours) and just as a recap the most up-do-date prices of Istanbul museums. 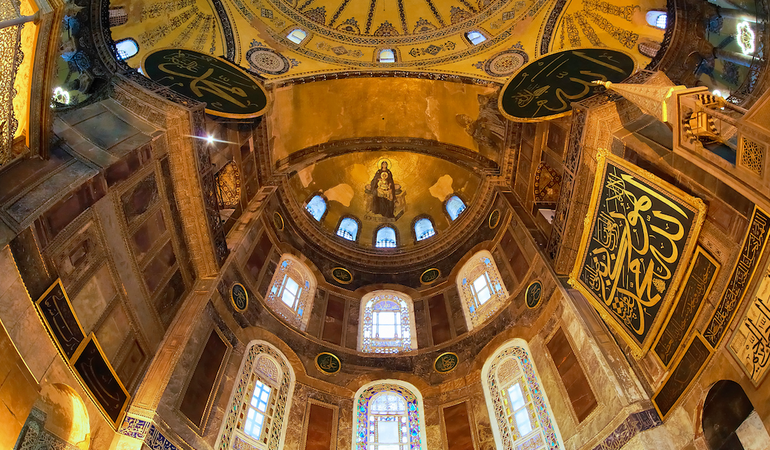 Hagia Sophia Museum is situated in Sultanahmet that is the heart of Istanbul’s historical peninsula and it is the most visited museum in Turkey as well as in Istanbul. Often referred to as the eighth wonder of the world, the Hagia Sophia (Ayasofya in Turkish) is easily one of Istanbul’s most impressive sights. It also must have one of the most turbulent histories of any museum in the world. Thus, built in 537 CE, the monument functioned as a church for more than nine centuries between 537 – 1453 CE. After the conquest of Constantinople by the Ottoman Turks the monument served as a mosque from 1453 to 1935. Since 1935, the monument has been functioning as a museum. Situated on the eastern tip of Istanbul’s historical peninsula in Sultanahmet, Topkapı Palace Museum is the second most visited museum in Turkey. Topkapı Palace was the imperial palace of the Ottoman Empire. It was built in 1461 by Mehmet the Conqueror and remained both the symbolic and political home of the Ottoman Empire until Sultan Abdülmecid I moved the imperial retinue to Dolmabahçe Palace in 1853. 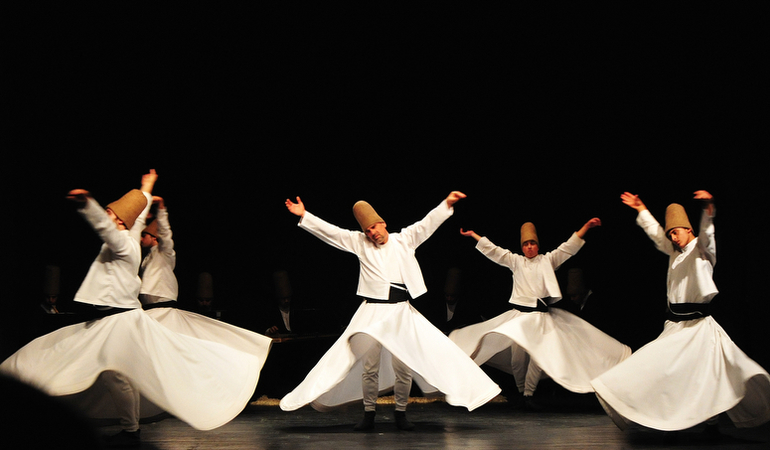 During the four centuries in between it hosted twenty-two different Ottoman Sultans and their families. 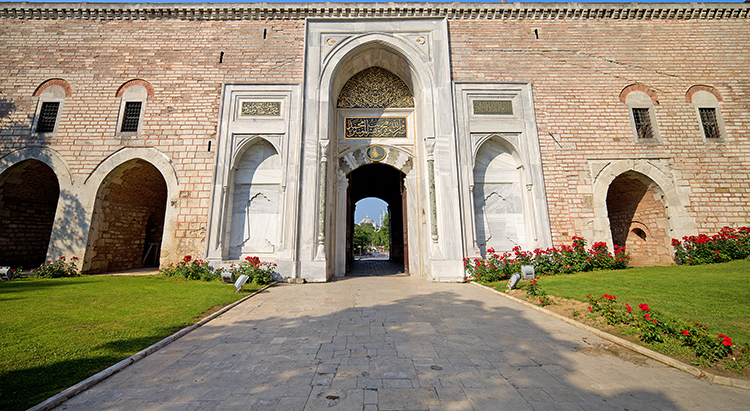 In 1924, the Topkapı Palace was converted into a museum, and it is a must-see venue for any tourist visiting Istanbul. Please keep in mind that the Harem section in the Topkapı Palace Museum requires additional ticket. Working days: Topkapı Palace Museum is open everyday except Tuesdays. Located in Sultanahmet just next to the Hagia Sophia Museum, the Underground Cistern (Basilica Cistern) is a 1500-years old cistern and it provided water for the citizens of Istanbul for more than 1000 years. It was built during the reign of Byzantine Emperor Justinian I in 537 AD, and used as water storage for the Great Palace during Byzantine times and for the Topkapı Palace under the Ottomans. 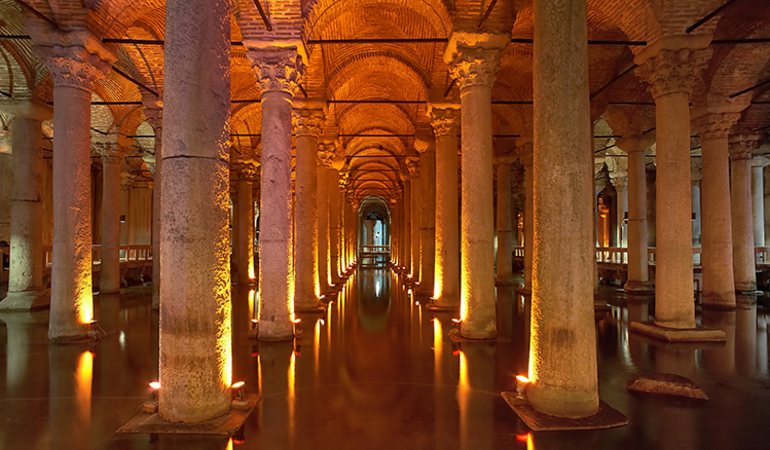 It was the largest cistern of the city with more than 330 columns and was found accidentally by a French traveler Petrus Gyllus in 1545 during his research on Istanbul fish and fish sellers. Working days: Underground Cistern (Basilica Cistern) Museum is open everyday. Galata Tower is one of the symbols of Istanbul and it is situated in Galata, on a hill seeing the historical peninsula of Istanbul from A-Z. The origin of the Galata Tower goes back to the fifth century CE, when Byzantines built a wooden tower named Magalos Pyrgos (Great Tower) in order to control the city of Constantinople and Golden Horn. Due to the fires, earthquakes, and the Sack of Constantinople by the Fourth Crusaders in 1204 the wooden tower was completely destroyed. In 1348, Genoese community living in the district of Pera (Galata) built today’s Galata Tower and named it Christea Turris (Tower of Christ). This landmark of Istanbul is a cylindrical tower made from stone and it is approximately 67 meters long. 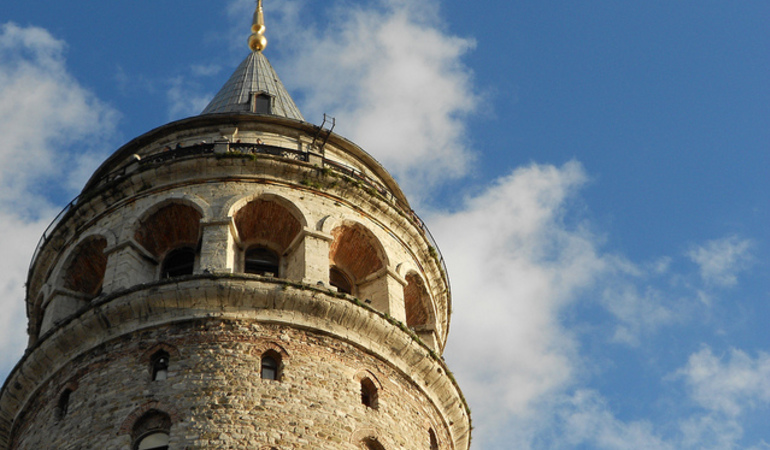 Make sure to go to Galata Tower on a clear-sky day in order to watch the magnificent view of Istanbul. Working days: Galata Tower is open everyday. 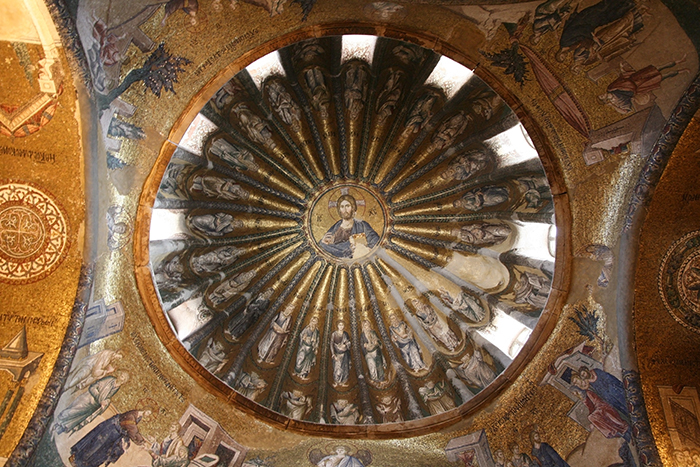 Chora Museum is a former Byzantine Church located in the northwest corner of Istanbul’s historical peninsula. Like so many of Istanbul’s historical buildings, the Chora Museum (Kariye Müzesi) has a long and chequered past, that reveals as much about the history of Istanbul, as it does the museum itself: The first Church of the Holy Saviour in Chora (as it was originally known) was built during the reign of Justinian (527-565) on the site of a former chapel that was located just outside the first city walls (but within the Theodosian walls that still exist today) that surrounded the capital of the Byzantine Empire, Constantinople. The word chora is the ancient Greek word for countryside – a reference to the fact that the original chapel was outside the city walls, in what would have been fields. It was destroyed when the Fourth Crusade saw invaders from Western Europe form the short-lived Latin Empire (1204-1261). However, it was later repaired and expanded during the 13th and 14th centuries when it was also decorated with the stunning mosaics and frescoes visitors can see today. After the Ottomans took the city in 1453, it continued to serve as a church until Vizier Hadim Ali Pasha converted it into a mosque in 1511. The mosaics and frescoes lay covered in dirt, paint, and plaster until it became a museum in 1945 and restoration works uncovered the stunning works. The enchanting mosaics of Christianity; from the journey to Bethlehem, to the miracles of Jesus Christ; from the dream of Joseph to the Dormition of the Virgin is waiting for you in this holy place. Located in the first courtyard of the Topkapı Palace in Gülhane, Istanbul Archaeological Museums is a museum complex that consists of three museums: the Archaeology Museum, the Ancient Orient Museum, and the Islamic Art Museum (Tiled Kiosk Museum). It was founded by first Turkish archaeologist as well as master painter, Osman Hamdi Bey in 1875, in a response to the removal of many of Turkey’s ancient artefacts destined for European museums.There is a wealth of treasures on show from the Assyrian, Hittite, Egyptian, Greek, Roman, Byzantine and Ottoman civilizations. Working days: Istanbul Archaeological Museum is open everyday except Mondays. Dolmabahçe Palace is an Ottoman imperial palace built in the nineteenth century and without doubt it is one of the most ornamented buildings in Istanbul. Naturally, It took 13 years to build and was completed in 1856, and served as the administrative center of the Ottoman Empire until 1922. The palace was commissioned by Sultan Abdülmecid (who decided there should be a more European palace than Topkapi) and designed by Armenian architect Karabet Balian and his son Nikoğos Balian. It is an ostentatious blend architectural styles including Baroque, Rococo, Neoclassical and modern Ottoman, dripping in luxury. In addition, the interior of the palace is decorated with hundreds of invaluable paintings and other art works. 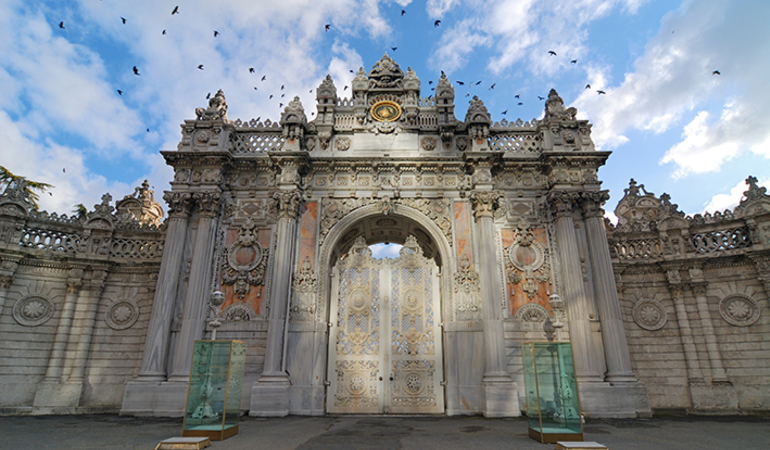 Working days: Dolmabahçe Palace Museum is open everyday except Tuesdays and Thursdays. The Galata Mevlevi Lodge (Galata Mevlevihanesi in Turkish) was built in 1491 and was the first Mawlawi house in Istanbul. It ceased to function as dervish tekke (lodge) in 1925 and opened as a museum in 1975 (after a brief spell as a school). It underwent a major refurbishment between 2005 and 2009 and now serves as Galata Mawlawi House Museum. This Galata museum is low key affair, but offers an insight into a Turkey you won’t find elsewhere with information on the culture, music and traditions of the Mawlawi. Located in Sultanahmet, next to the Hippodrome of Constantinople, the Museum of Turkish and Islamic Arts (Türk ve Islam Eserleri Müzesi) provides a fascinating insight into the complexity and depth of these traditional arts. It is housed in a building that was once home to the Pargalı Ibrahim Pasha, the 16th century Grand Vizier of Süleyman the Magnificent. Known locally as the İbrahim Paşa Sarayı (Ibrahim Pasha Palace) it is a stately building made up of cool darkened rooms, set around a central garden courtyard. It mostly survived the fires that destroyed many of city’s other Ottoman residences, though parts of it were rebuilt in stone. 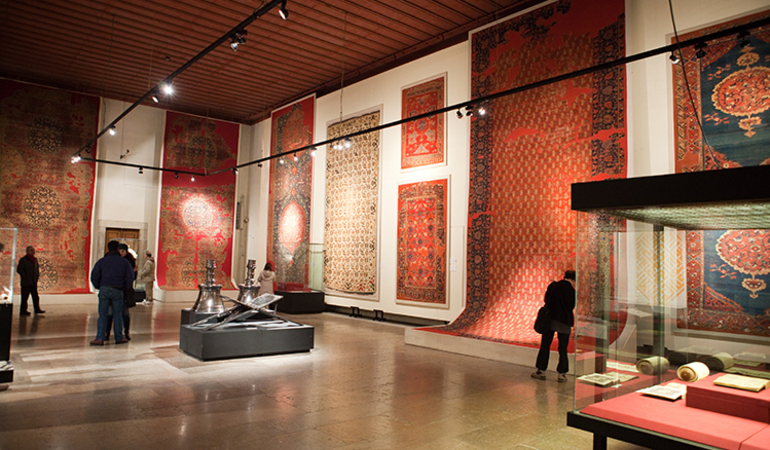 The impressive collection contains serves as an Islamic art gallery, featuring fine examples of calligraphy in Islamic art, Islamic art paintings, Islamic abstract art and contemporary Islamic art. There is also an enthralling ethnography section, containing information about Anatolian life. 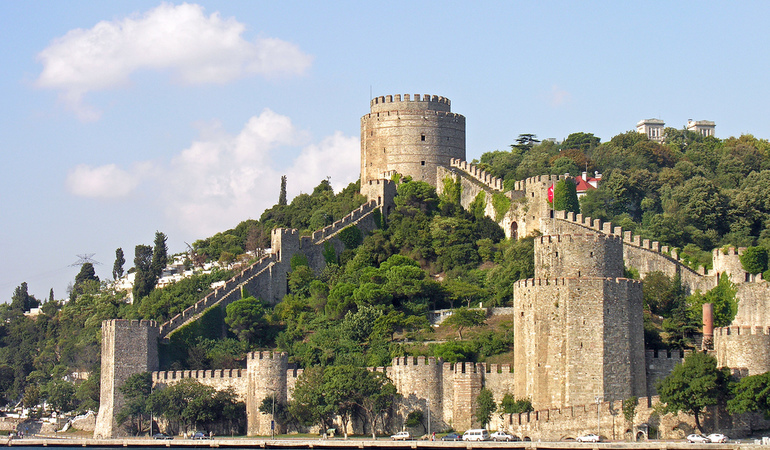 Rumeli Castle (Rumeli Hisarı) is an Ottoman fortress dating to 1452. It was built by Ottoman sultan Mehmed II (Mehmed the Conqueror) in preparation of the conquest of Constantinople. The castle is situated on the shore of the Bosphorus Strait at its narrowest point with approximately 660 meters. It is just opposite of Anadolu Castle (Anadolu Hisarı) that is another Ottoman castle built in 1394 by Bayezid I. Both Anadolu Castle and Rumeli Castle were built by Ottoman sultans in order to prevent military and economic aid to the Byzantine Empire coming from the north, Black Sea. Thus, Bosphorus strait connects Black Sea with Marmara Sea. Over the past decade, Istanbul has become known as one of the world’s hubs of contemporary art. Hundreds of galleries have opened to exhibit the works of thousands of talented local artists, who express themselves in a dizzying array of mediums. Located in Tophane -on the shore overlooking magnificent Bosphorus- the Istanbul Museum of Modern Art is the center of modern art in Istanbul. Before functioning as a modern art museum, the space was a storehouse and this is one of the unique characteristics of the museum. 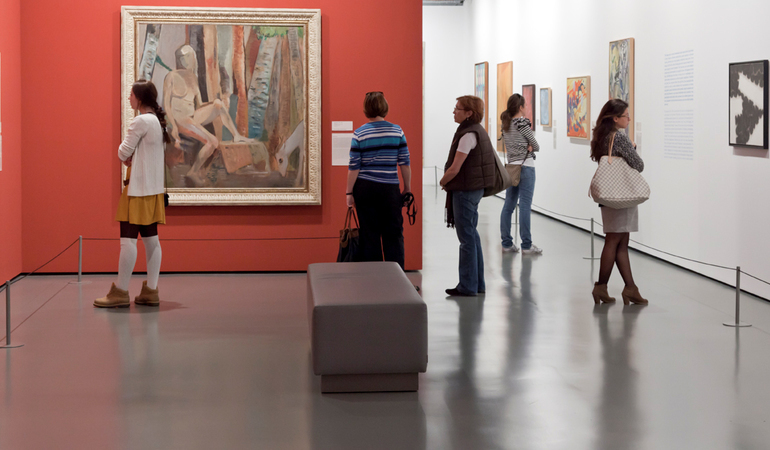 Open since 2004, Istanbul Modern Museum is Turkey’s first private museum to host modern and contemporary art exhibitions. While your visit to Istanbul Modern Museum, pay attention both to the art works as well as the magnificent view of both Bosphorus and Istanbul’s historical peninsula. Located in Taksim, Pera Museum is a private museum of Turkey (opened in 2005) and its leader role is developing the art scene in Istanbul. A fascinating mix of historic artefacts, traditional arts, important paintings and modern art can all be found in the superb Pera Musuem, which is a 19th century building that was once the historic Hotel Bristol designed by the architect Achille Manoussos. Pera Museum has both permanent and temporary exhibitions, and the most famous Turkish painting -The Tortoise Trainer- is exhibited in the permanent exhibition of the museum. In addition, world-famous artists’ exhibitions including Rembrandt, Joan Miro, Pablo Picasso, Fernando Botero, Frida Kahlo, and Diego Rivera were also exhibited in Pera Museum. 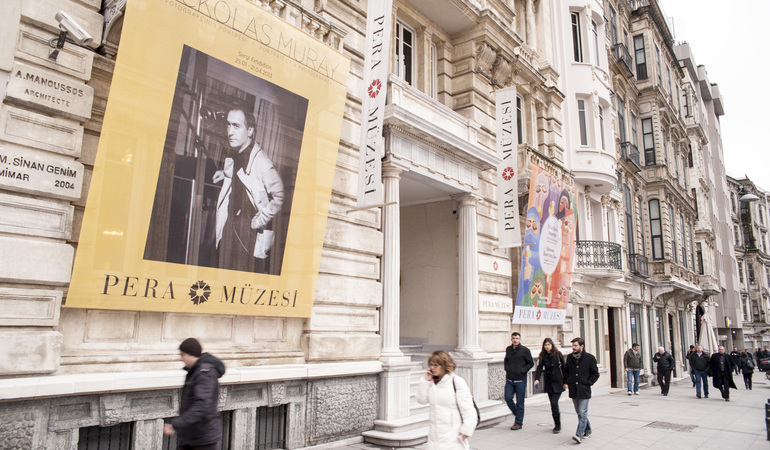 Make sure to pay a visit to the Pera Museum if you are around Taksim. 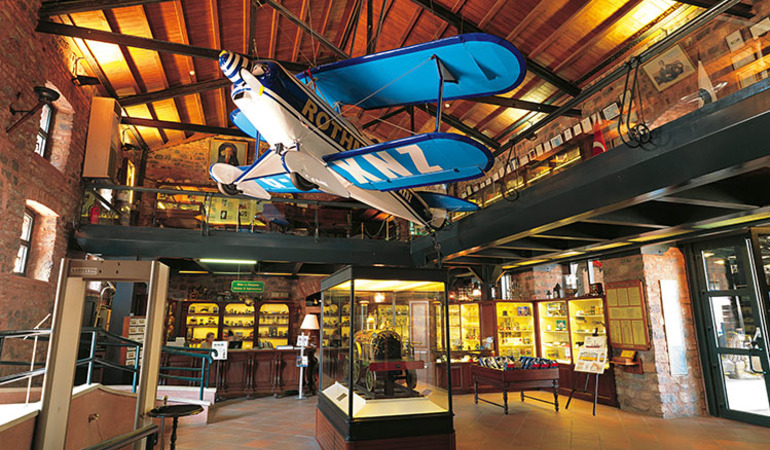 Founded by Rahmi Koç (a wealthy businessman with a passion for mechanical and industrial objects since childhood) in 1994, Rahmi Koç Museum contains an impressive collection of Turkish and international cars, planes, boats, buses, and other objects that tell a story of industrial and mechanical development. 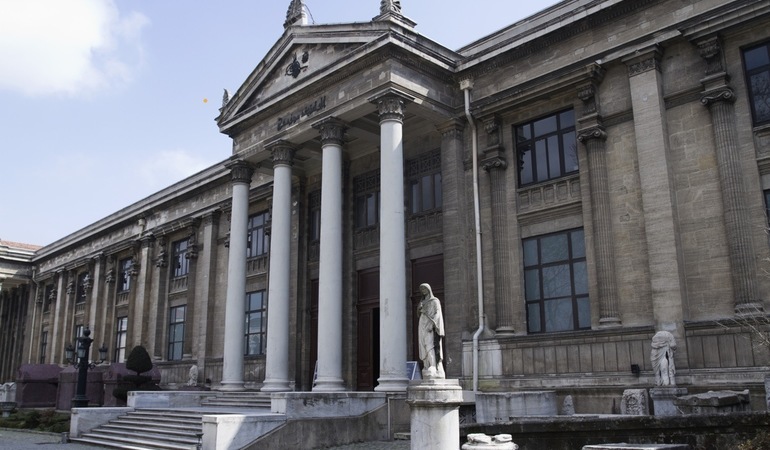 Founded in 1980, the Sadberk Hanım Museum is the first private museum in Turkey. Sadberk Hanım Museum consists of two buildings i) Azaryan Mansion and ii) Sevgi Gönül Building. And they have different collections. Archaeological objects from Neolithic Period (6500 BC) to Ottoman Period (1300s) form the collection of the Sevgi Gönül Building, whereas Turkish-Islamic and Ottoman objects are being exhibited in Azaryan Mansion. The collection of Sevgi Gönül Building consists of clay tablets, potteries, figurines, Greek, Roman, and Byzantine coins, ornaments, and so on. On the other hand, the collection of Azaryan Mansion section consists of Turkish-Islamic objects from Seljuqs, Safavids, Ottomans, and other Turkish-Islamic civilizations. 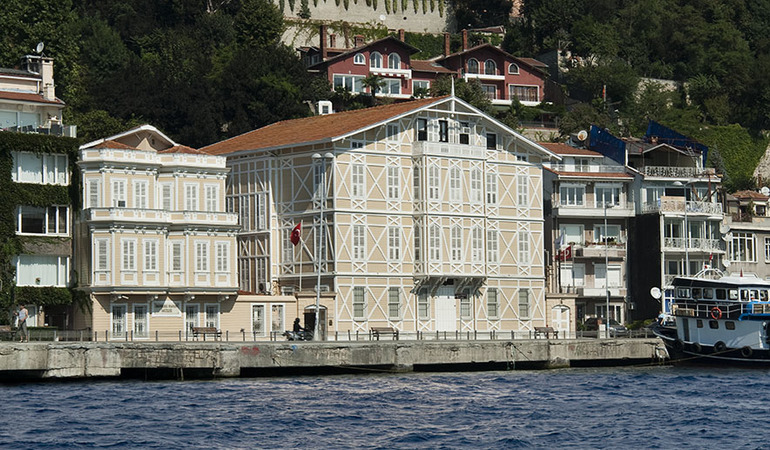 Located on the shore of the Bosphorus, in Emirgan, Sakıp Sabancı Museum is one of the most visited private museums in Istanbul. It is set in a 1920s mansion known as Atlı Köşk, (Horse Mansion – named after a statue in its grounds) that was previously used as the summer house for the Hidiv family of Egypt, and as the Montenegrin Embassy. 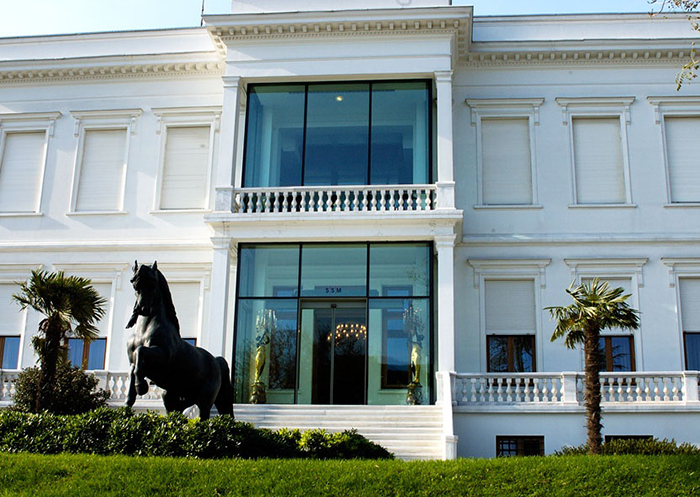 It was bought by the Sabanci family in 1951, and opened as a museum in 2002. With its prominent position looking out across the Bosphorus, Sakıp Sabancı Museum’s permanent collection and temporary exhibitions are always worth to visit.